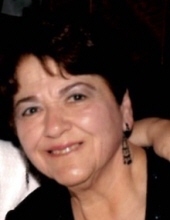 Virginia B. McKenna, 78, of Warminster, PA, passed away on April 3, 2019. She was the beloved wife of the late Thomas McKenna, Jr. Virginia was born in New York, NY on July 14, 1940 to the late Henry and Theresa (Derise) Battestelli. For many years, Virginia worked with her parents and family at Terry’s Kitchen, which was located in Fairmount. She enjoyed cooking Italian food and was known for her spontaneous back yard BBQs with family and neighbors. Virginia loved animals and her trips to the Shore. Most of all, she loved spending time with her family, especially her grandchildren and great-grandchildren. She is survived by her two children: Debra Snyder (Joe), and Tom McKenna (the late Barbara); 5 grandchildren: Brittany, Ashley, Melany, Gina, and John; 5 great-grandchildren: Kerstin, Carmine, Stella, Rylee, John and her two siblings: Vincent Battestelli and Lucy Stasiak. She was predeceased by her brother, Eric Battestelli. Relatives and friends are invited to her Funeral Mass on Monday, April 8, 2019 at 11 AM at Saint Anthony of Padua Church, 259 Forest Avenue, Ambler, PA 19002. A viewing will be held on Sunday from 5 PM to 7 PM and again on Monday from 9:30 AM to 10:30 AM at the Emil J. Ciavarelli Family Funeral Home and Crematory, 951 E. Butler Pike, Ambler, PA 19002. Interment will be in Calvary Cemetery, West Conshohocken. To send flowers or a remembrance gift to the family of Virginia B. McKenna, please visit our Tribute Store. "Email Address" would like to share the life celebration of Virginia B. McKenna. Click on the "link" to go to share a favorite memory or leave a condolence message for the family.